A new model of teacher preparation aimed at closing the achievement gap in high needs schools is sweeping the country and providing excellent results. Professional learning developers and administrators can learn a great deal from the success of this program in preparing teachers for the real experiences they’ll encounter in their careers. Traditional teacher preparation programs rely heavily on theoretical course work and class grades when determining a teaching candidate’s success. Teacher residencies, on the other hand, note candidate impact on student achievement and on the job experience when evaluating. 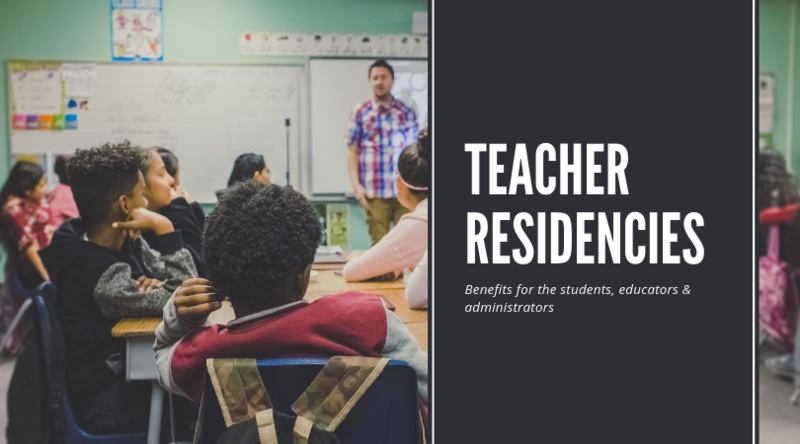 According to NCTM (National Center for Teacher Residencies), more than 90% of principals who have hired teachers from residency programs would recommend them to their colleagues. NCTM’s residency programs are a set up so that everyone benefits. Teacher candidates receive mentorship, classroom experience, masters level classes and are guaranteed a position in their district upon program completion. At risk students, receive instruction both from highly qualified teacher mentors and the additional support of resident teacher candidates. High risk districts are able to retain highly trained graduates for a guaranteed three year commitment, while many teachers fall in love with their districts and choose to stay even longer. NCTM recruits college graduates and career changers for their program. Residents train as part of a cohort, spend a full year in a classroom apprentice, and complete masters course work. Once they have completed their residency program, graduates are committed to serving in their district for three years. Many graduates go on to become mentor teachers or administrators in their district as well. Administrators can take a nod from the teacher residency model and set up faux residencies for beginning teachers already in their buildings. Mentor teachers and on the job observation can offer tremendous growth potential and ongoing accountability to young and less experienced educators. To learn more, check out the NCTR website.